NEW YORK -- The stock markets have been both kind and cruel to the convenience and fuel channel, rewarding so-called activist shareholders while snubbing the tax-advantaged structure of master limited partnerships (MLPs). 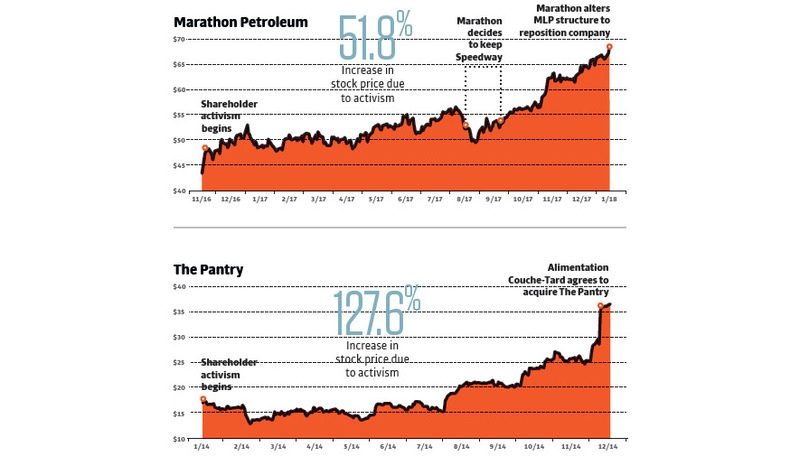 Here's a look at how stock prices fared at two major chains when faced with shareholder adversity. Activist shareholders calling for management change or a potential sell-off bring about short-term run-ups among publicly traded c-store and fuel chains.